In 2011, a New York based company, Arconic, launched the first smog eating coating for windows called “EcoClean”. This is a special type of nano coating that helps buildings self-clean and purify the surrounding air. The smog eating coating offers a number of benefits over traditional glass windows, such as, improving the looks, maintenance benefits and reduces pollution in the air. Due to the problems of smog and the health issues that come with the smog in Delhi, this smog eating coating can be one of the greatest solutions for Delhi. The smog eating coating of EcoClean has titanium dioxide in it. If titanium dioxide is exposed to sunlight, electrons are activated and start breaking down organic particles and at the same time it creates a water-loving surface, also known as hydrophilic. Organic contaminants are sometimes invisible to the eye. 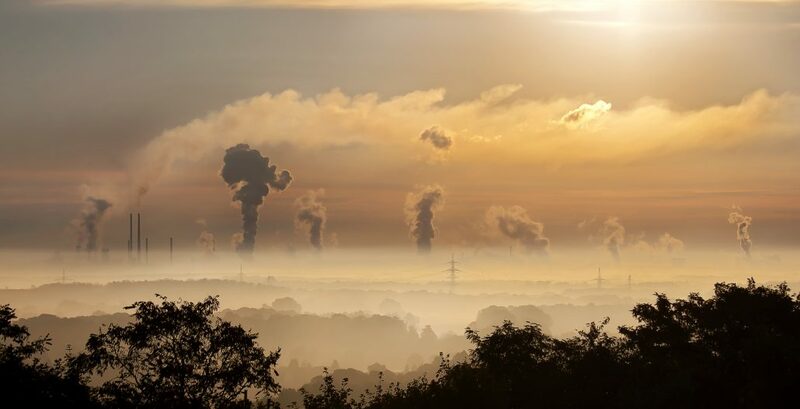 One of the major pollution particles in the air that creates smog is nitrogen oxides. Nitrogen oxides particles have a negative effect on the air quality and therefore, dangerous to breath in. One of the major problems in Delhi at the moment. EcoClean’s smog eating coating converts dangerous nitrogen oxides to harmless nitrate. The activated electrons react with water and oxygen in the air to fight the nitrogen oxides and by doing so, the coating purifies the air. Besides that titanium dioxide brakes down the organic contaminants and converts the nitrogen oxides, it has one more major benefit for the building on which it is applied. Namely, EcoClean’s smog eating coating is super hydrophilic. The coating attracts water particles in the air, creating a cleaning shower for the building, bringing down all the broken-down organic contaminants. During the winter seasons, New Delhi has to cope with heavy winter smog. After the Diwali festival in October and the start of the winter of 2017 in India, inhabitants need to cope with air pollution. Before the Diwali Festival, the government shut down a coal-fired power plant and using privately-owned diesel generators in New Delhi was not allowed. 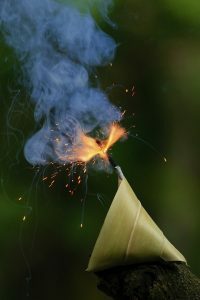 Besides that, selling the popular firecrackers that are used during the Diwali festival were temporary forbidden as well. Desperately trying to reduce the air pollution or at least try to stop the growth of it. In order to solve the problem the causes of the dense smog, that takes over Delhi every winter, need to be clarified. All the causes cannot be eliminated immediately and the power to start improving the air quality in Delhi lies with the inhabitants and the authorities. However, smog eating coating might be a great idea to decrease the amount of smog and air pollution in Delhi. Besides the firecrackers used during the festival, the transportation in Delhi, heaters used in the winter season and the massive amount of crop waste that is burned after the crop season are causing the air pollution in Delhi. The Central Pollution Control Board gathers data about India’s air pollution and smog on a daily basis. So what could this smog eating coating mean for The Great Smog of Delhi? Due to the decrease of smoke, the health issues in Delhi can decrease as well. Do you need help finding the right smog eating coating expert in India? Coatings.co.in is the #1 resource for the Coating Industry in India with hands-on coating and painting guides to help consumers and professionals in this industry save time and money. Our team of coating experts are happy to help. Feel free to contact us and we will connect your quote enquiry to the most suitable coating partner in India. Coatings.co.in is powered by Ayold – The #1 coating specialist in India. We connect your coating or paint enquiry with the right coating partner.